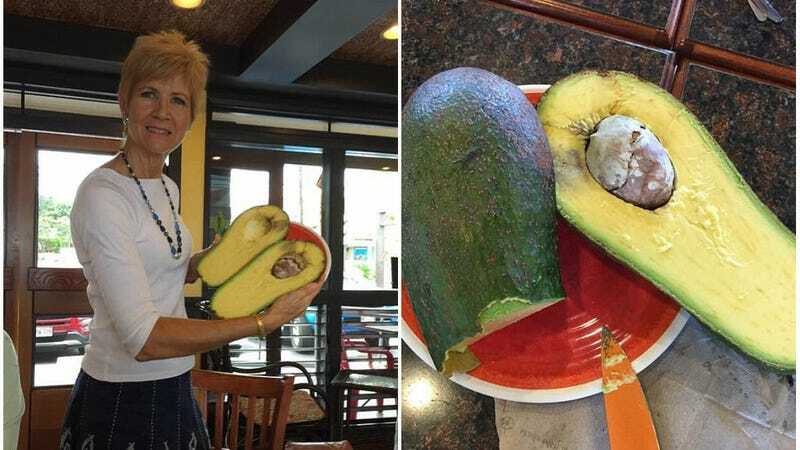 This monstrosity found by Pamela Wang is a whopping five pounds, and might just be the heaviest avocado on record, West Hawaii Today reports. The Guinness Book of World Records says the current record for heaviest avocado is held by Gabriel Ramirez Nahim of Venezuela. His 4.13 lb avocado is lighter than the five pounder found this week by Wang. Wang will know soon whether her find is the biggest on record. Also, if you find yourself with an abundance of avocado, you should probably make this magical Rick Bayless guacamole. And yes, I would like a Pulitzer for this post.